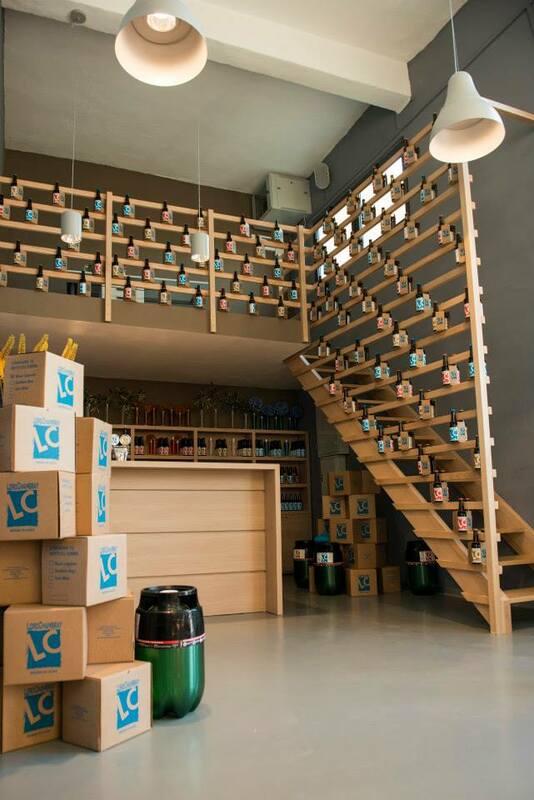 Malta, or should I say Gozo, has its first artisanal brewery with the opening in June of Lord Chambray at the Gozitana Agricultural Village in Xewkija. While on a visit to Gozo, I went to meet Samuele d’Imperio, the managing director of Lord Chambray to discover why they set their eyes on making Malta’s first craft beer. He told me the family had been visiting Gozo every summer for the past 25 years and it was always their dream to eventually buy a property with a view on Malta’s sister island. They finally bought a property in Fort Chambray around five years ago. It has always been his parents’ dream to retire on the island of Gozo. His father, an accountant, is around five years away from retirement. They are however in good hands. Samuele told me that after they dreamt about the idea, they contacted Andrea Bertola, an exceptional master Italian brewer who is helping the D’Imperio’s in this venture. For those who do not know about Andrea Bertola, he is one of the first Italians to venture into craft beers and has had a large number of successes since his first venture in 2003. We met him the first time last year and after discussing our project with him he immediately called back the next day saying he was joining our project. Lord Chambray set up the company in September last year. They started work on the state-of-the-art brewery in January and started production in June of this year. I ask what the ultimate aim of their venture is and whether they want to export their beer. “We have just started production in June, so far we have sold our beers in Gozo (an island of around 25,000 inhabitants though with a lot of tourists – both Maltese and foreign especially in the summer months) and we will shortly be selling the beers in Malta. We will take it from there,” he says. However, he emphasised that his aim is to produce a biodynamic beer in Malta which would be a first for the country. He is also trying to see whether it would be possible to grow barley locally. Lord Chambray’s concept is to get people to ‘drink different’. Our beer is unpasteurised unlike commercial beer that is pasteurised. 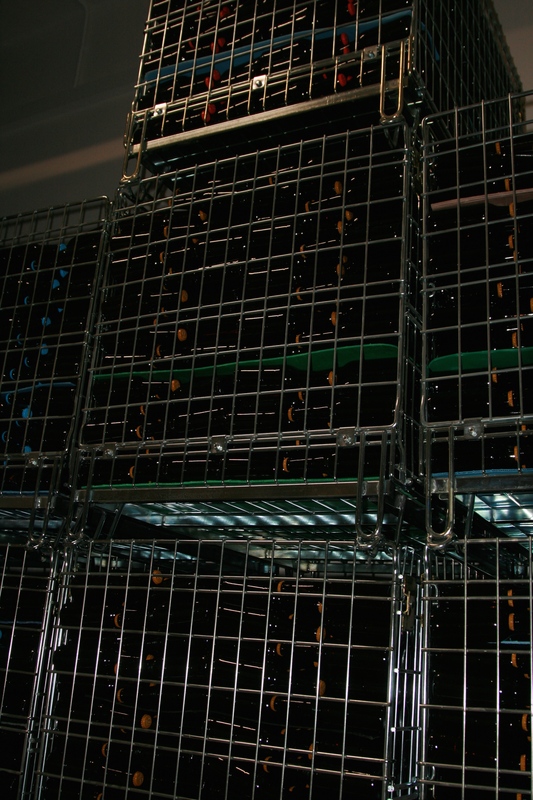 We use the champagne method of brewing with maturation taking place in the tanks, following which sugar and yeast are added and a second fermentation takes place in the bottles in a temperature controlled environment. He has words of praise for Malta’s main beer Cisk and says this is a good commercial beer. Samuele says that they also want to give something back to the local community. The must which remains from the brewing process is given to local farms as pig feed or for fertiliser. Samuele explained the brewing process to me. Water is an essential part of beer so they have top end technology being deployed to revitalise the water, which then goes through a sophisticated reverse osmosis plant. 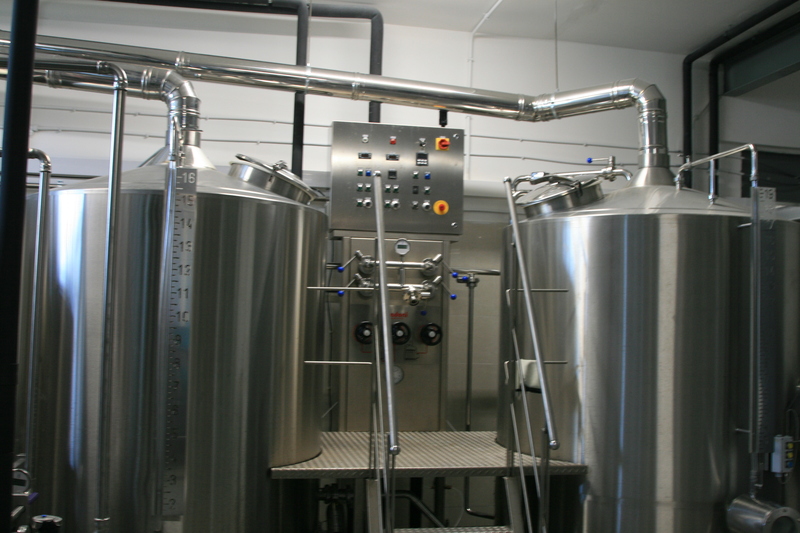 Once the water is treated, the brewing process starts in kettles and vats. The beer is then moved manually to storage tanks were it is allowed to ferment for around 8 to 12 days. Yeast and sugar are added for maturation and the beer is allowed to rest again for another 18 days. Once it is bottled, the beer gets a second fermentation in the bottles. It rests for a further seven days before it is ready to leave the brewery. Visitors in Malta and Gozo have a new beer to look forward to. In Gozo, you can also visit the brewery from Monday to Saturday. For more information on the three beers made by Lord Chambray check my blogpost here.